My heart is so happy that it is time for planting my summer cutting garden. Last year was my first year to have a cutting garden, and it made me so entirely happy. Fresh flowers in my house all summer long! This is year two, and I am putting into practice what I learned from last year. I definitely still want that wild English garden look, but I have researched the flowers that are going into my garden a bit more, plus allowing some of the flowers that came back on their own to flourish. 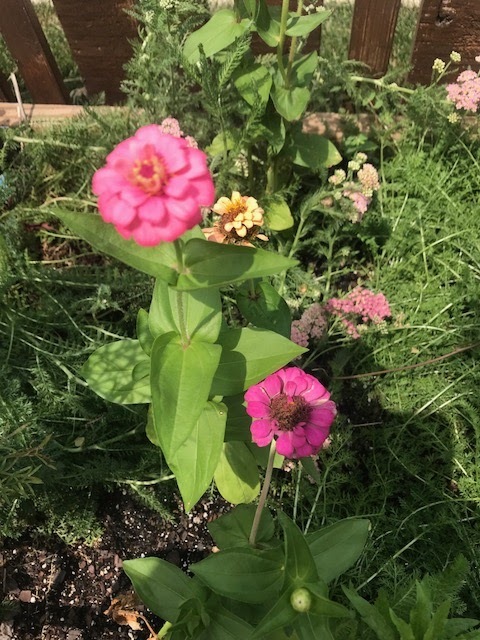 Zinnias- I chose zinnias because they have a firm stem, pretty leaves and come in a variety of colors. This year I planted them in pink and dark pink. Sunflowers- I chose a smaller version that will work well in vases. This is a new flower for me. I chose it for its bright color and strong stem. 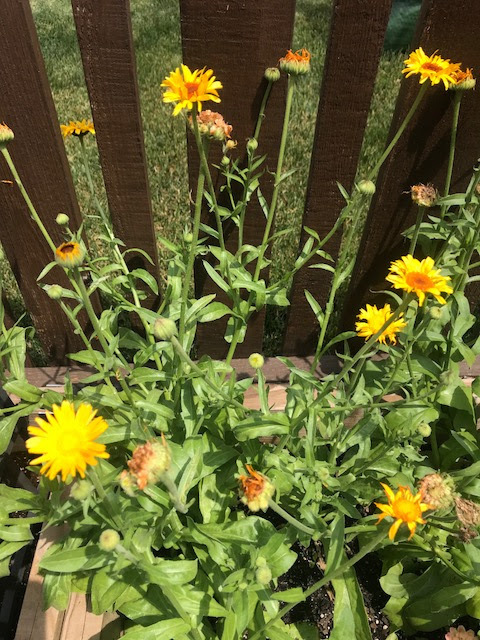 Tree marigold- This flower lasts a long time and has a strong stem. Perfect yellow color for a bright bouquet. 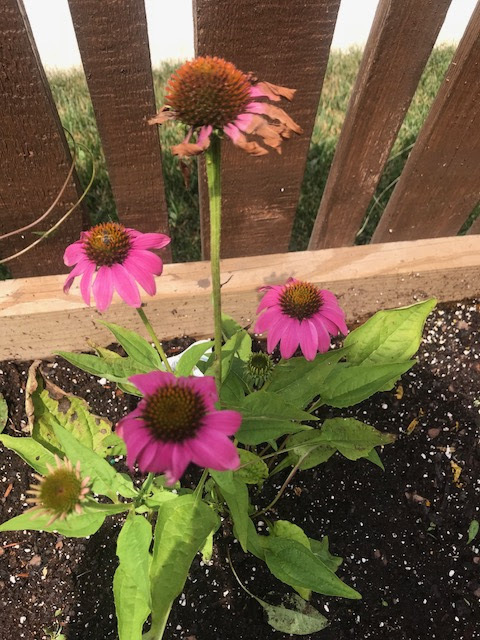 Purple Coneflower- Long strong stems and beautiful blossoms made this an easy pick! The flowers range from deep purple to a light pink. It's very hot here and the flowers are feeling it. We keep them well watered, especially in the early evening when the sun isn't so bad. 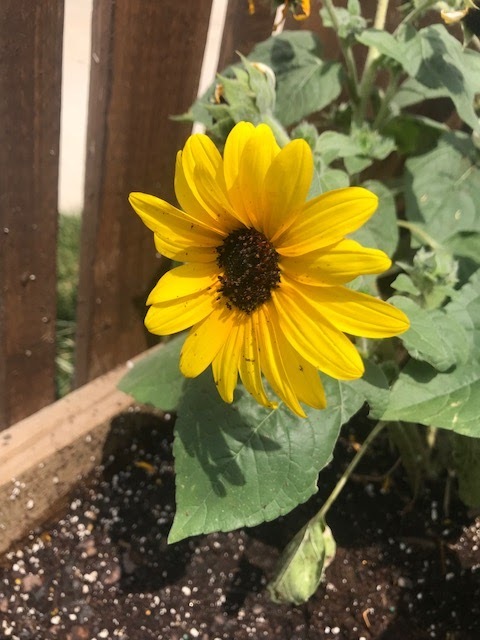 I also planted a seed mix called Cut Flowers. I am eager to see if they grow quickly in this heat. Starting a summer cutting garden isn't difficult. The hardest part for me is choosing the flowers. 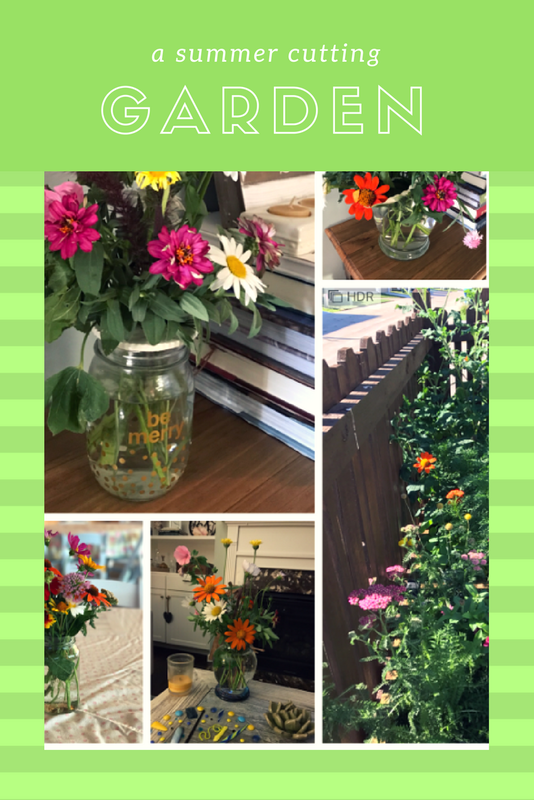 There are so many wonderful flowers just waiting to be planted!